Clarke group construction and proud to be working with the Witham priory academy at Lincoln. 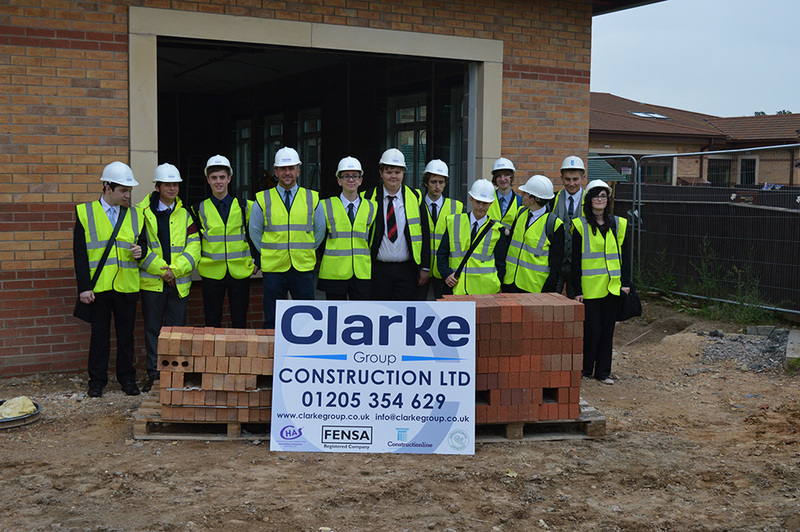 We are please to be supporting the year 11 budding construction students by providing facing bricks for them to use in their practical construction skill lessons. Matthew Chamberlain Construction Manager pictured with the students and the bricks to be donated. Works on the early years classroom are due to be completed by the end of October 2015.